The Aquarius Beach Aparthotel enables guests to find their own slice of relaxation while having the freedom to create their own dream holiday in the sunshine. Located in the picturesque resort of Messonghi, guests can enjoy the laid-back atmosphere and the gorgeous beach just a short stroll away. Relaxing is simple in the elegant rooms while the on-site restaurant is sure to cater to the needs of each guest. There is an elegant outdoor pool and sun terrace where guests can soak up the sun and unwind all day long. 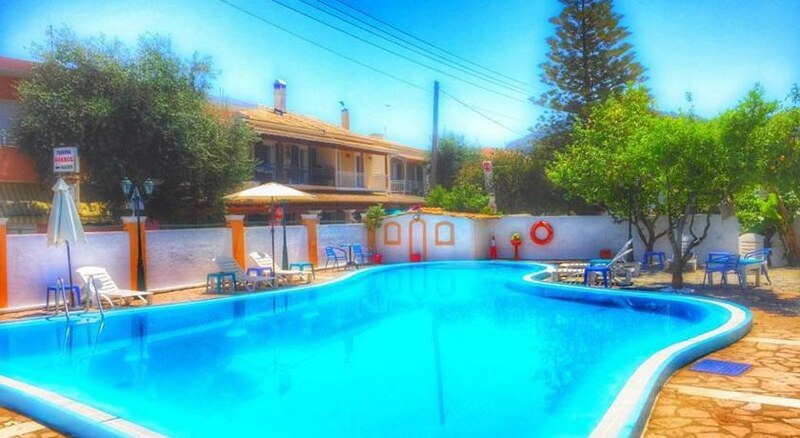 The Aquarius Beach Aparthotel is an ideal choice for those looking for an affordable holiday in a top destination. There is plenty to see and do when guests stay at the Aquarius Beach Aparthotel as there is an array of attractions in the area. For guests who love a bit of excitement, there is a watersports centre just 200m away while guests can also explore the quaint village which is just 50m away from where they will find bars and restaurants as well as a supermarket. Corfu Town is just 20km away while the nearest beach is less than 100m away making this the ideal destination for those who want that perfect blend of relaxation, fun and a laid-back atmosphere. The hotel is 22km from the airport. The hotel caters to all with a wide range of rooms options available including Double or Twin Rooms, Triple Rooms, Studios, Junior Suites, Apartments and Family Rooms. Each room comes with a traditional feel and a simple décor including a host of facilities. Guests will find that they will benefit from air conditioning, Wi-Fi, safe, TV, refrigerator, kettle, private bathroom with shower as well as a private balcony. Apartments come with a dining area and a fully equipped kitchen. There is an on-site restaurant where guests can find a choice dishes served throughout the day while the on-site bar serves up a range of beverages. Guests staying in an apartment can choose to cook their own meals but for those who are looking for something different then there is an array of restaurants and bars located in the area as well as family-friendly bars. The hotel comes with a free-form outdoor pool where guests can escape the sunshine for a while, but the sun terrace is the ideal spot for relaxation. Guests can explore a choice of water sports at the water sports centre just a short walk from the hotel. Here they can find an impressive choice of sports where they can get their fix of thrills and excitement.